Every Friday throughout the summer we have our infamous Pool Party! 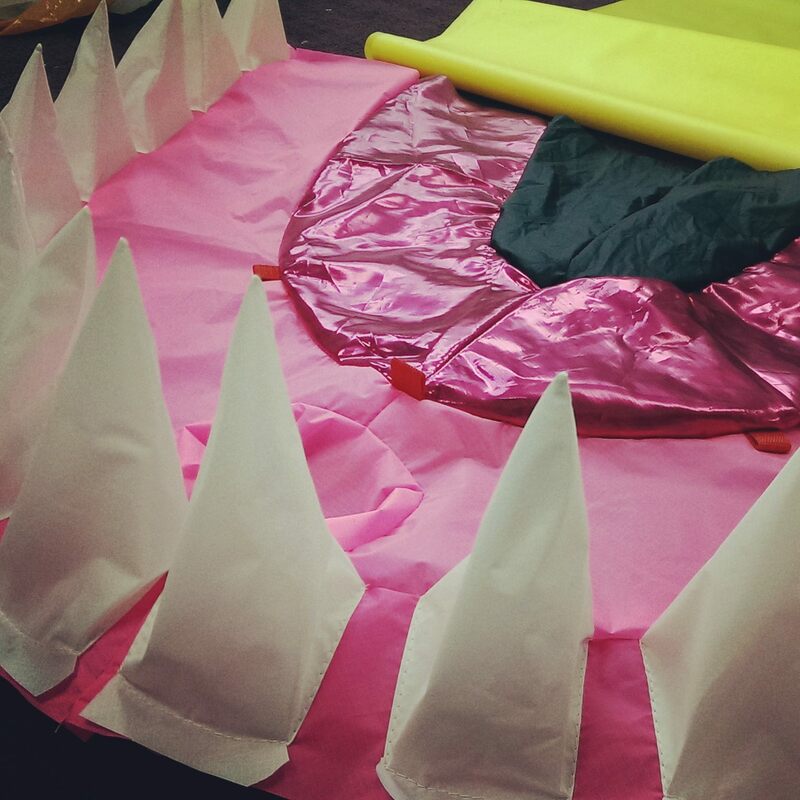 This year we have everything from a gigantic mechanical shark int he sky to glow in the dark jellyfish shows! The woman behind all of the madness of the entertainment and production is our Brand & Events Manager – Gemma Charters! We asked Gemma how she came up with the idea for this years theme and where all of her inspiration came from! I decided to go for an underwater theme for our Friday Pool Parties, as it allowed for us to be a little tongue in cheek with our entertainments. 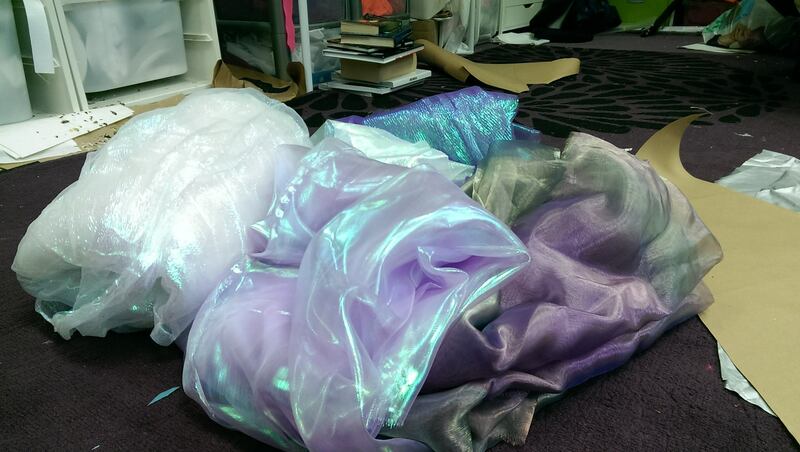 It meant we were able to use amazing pearlescent, iridescent and metallic materials (I’m a little addicted), which glisten and shine perfectly under the Summer rays. 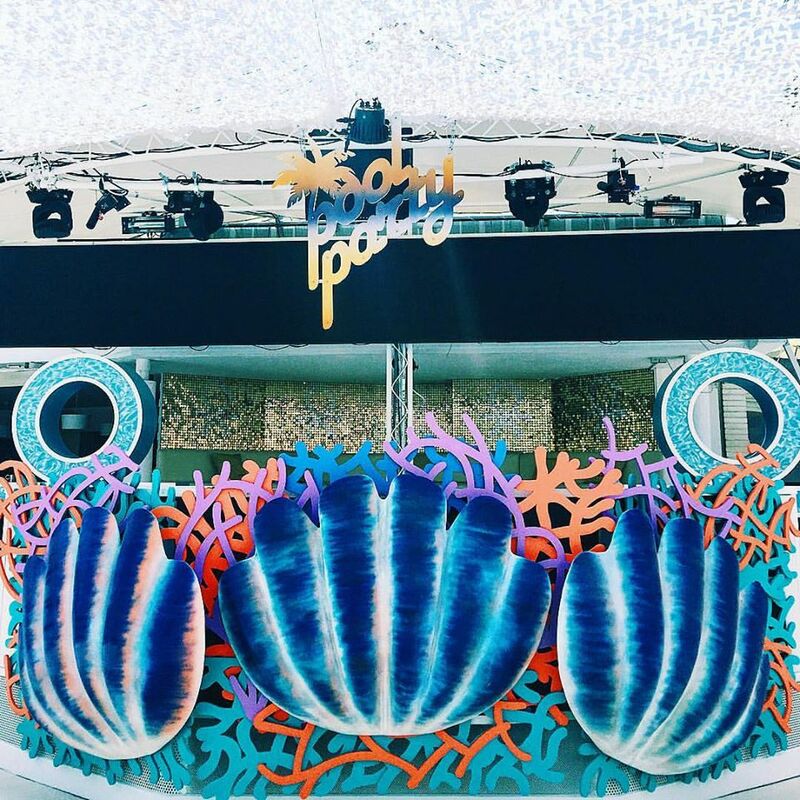 A combination of beauty and fun in our production, pair as perfect ingredients for daytime party vibes. INSPIRATION – WINDOW SHOPPING IS GOOD FOR YOU! 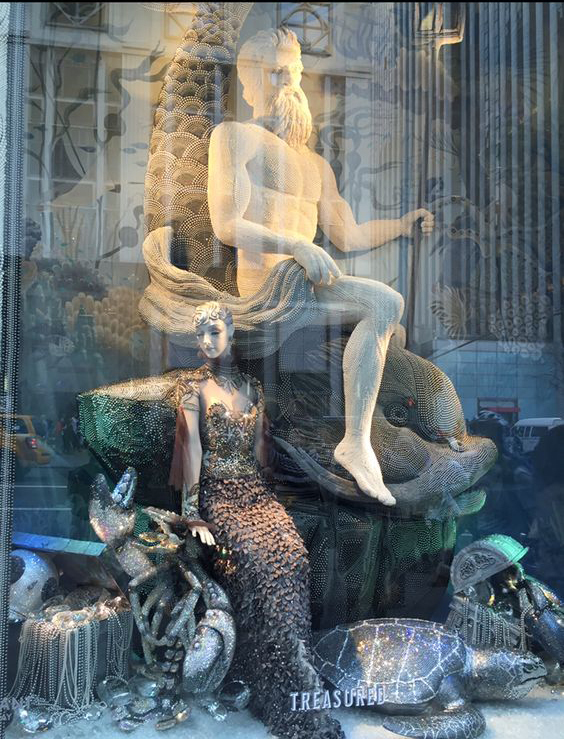 On a trip to New York in December, I found inspiration from the Bergdorf Goodmen department store with their beautiful Swarovski underwater inspired window display. 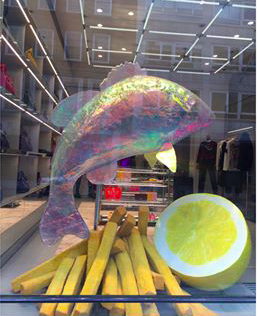 I immediately fell in love this Iridescent fish in the Kenzo window display in Mayfair, London! I am also constantly blown away by the art cars that are produced at Burning Man which are always a massive source of creative inspiration but as we have no space on the ground here at the beach club we have to look at pieces coming in from the sky instead. 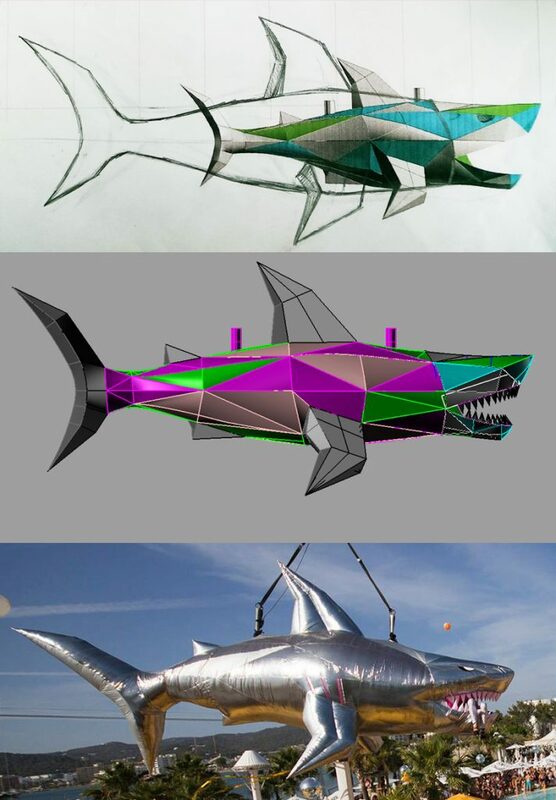 The aesthetics of the shark were created by a London based company called Studio Souffle and the mechanics by our very own and very amazing Arte Volante and it definitely has the wow factor we were after. Teamed with the infamous Jaws theme you cannot afford to miss this show! 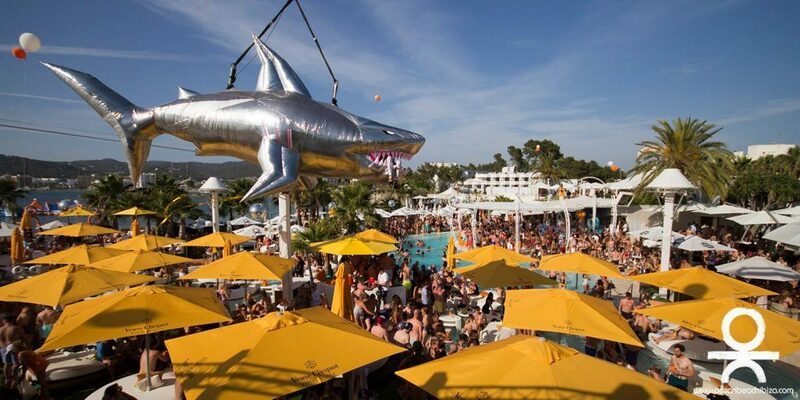 To ensure our crowd could get involved with a bit of ‘sharking’ we also had some really fun inflatable shark heads made for the pool. 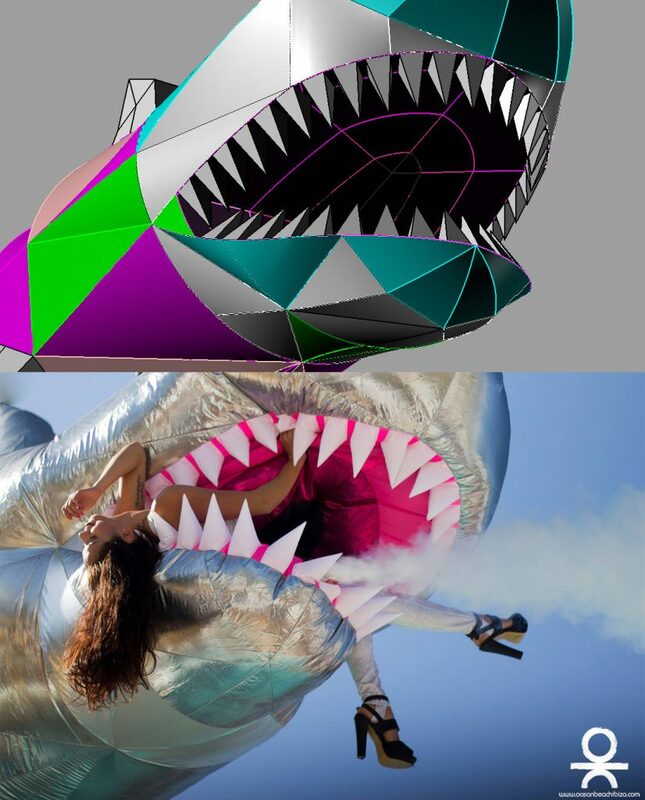 “For the initial stages of design for the shark we looked at inspirational pictures ranging from real sharks, inflatable sharks, origami sharks, chrome cubic sharks, shark tattoos” – Studio Souffle. 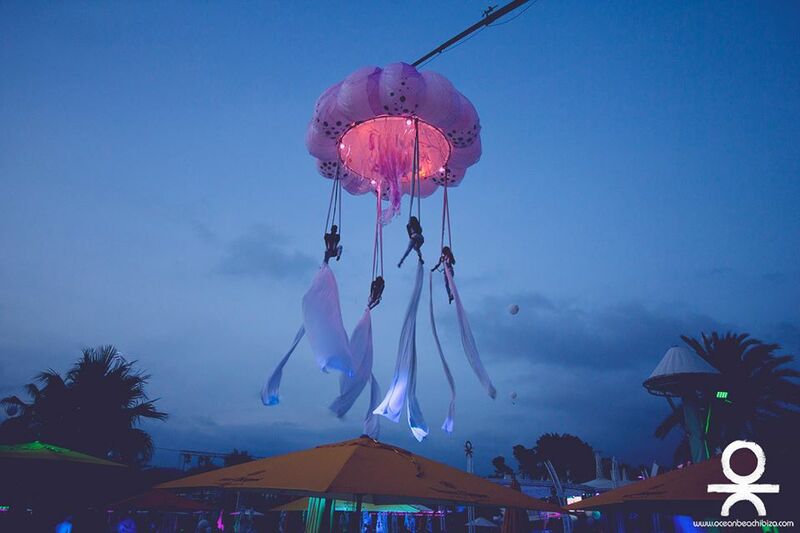 I’ve always been mesmerised by jellyfish so it was a perfect option for a nighttime show with our acrobats on silks. This show has been beautifully brought to life by Studio Souffle and Arte Volante and is a perfect nighttime show. + The design process involved a combination of hand sketching and 3D modelling in the computer program ‘Rhinoceros.’ After choosing the desirable image or hand sketch it then gets modelled up in 3D form in Rhino. Once the basic silhouette is created in the program the image gets printed out and we then sketch over it to tweak it till we feel the shapes are just right. + The pattern pieces are derived from the final 3D model and printed out using a large plotter machine on a big roll of paper. These large patterns are then used to hand cut the fabric. + Layers of iridescent and shiny fabric are laid over the stock rip stop nylon to give the shark and jellyfish a more exclusive look. + The pieces are then stitched together using our vintage 1930’s industrial Singer sewing machine. Then they are finished off with other tools of the trade; overlockers, hand stitching/ techniques and a combined skill set of fine tailoring, sail making and bouncy castle construction details . SO NOW YOU KNOW HOW OUR POOL PARTY WAS CREATED, ALL YOU NEED TO DO NEXT IS TO EXPERIENCE IT FOR YOURSELF. DON’T MISS OUT THIS SUMMER AND BOOK YOUR BEDS AND TICKETS NOW.